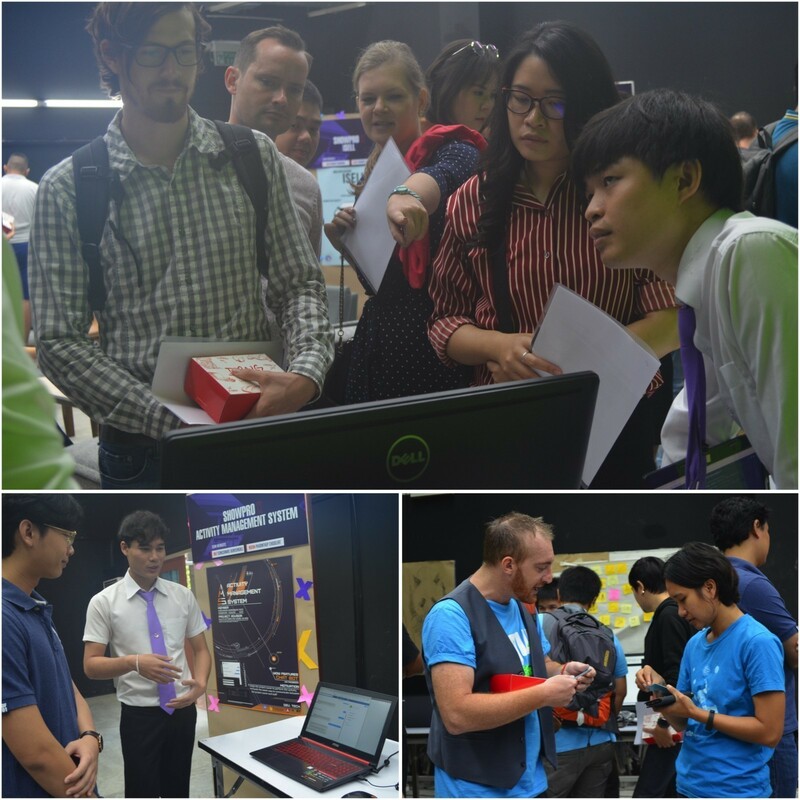 On November 14, 2018, members of Iglu attended the tenth annual Show Pro at Chiang Mai University’s College of Arts, Media and Technology (CAMT). 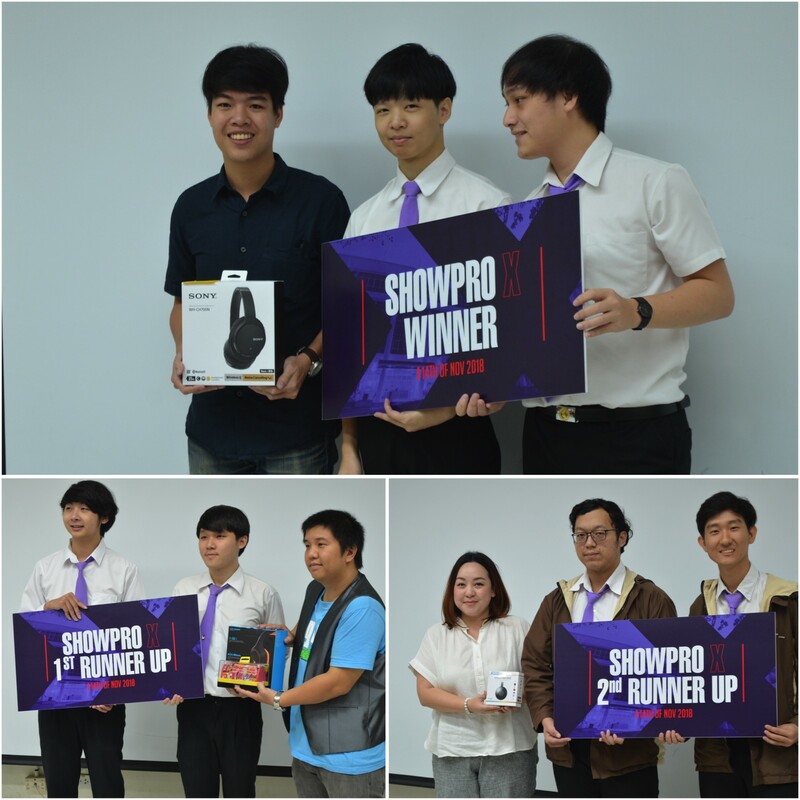 Dubbed “Show Pro X” for this ten-year anniversary edition, the event gave CAMT students a chance to show off senior projects to local IT companies. 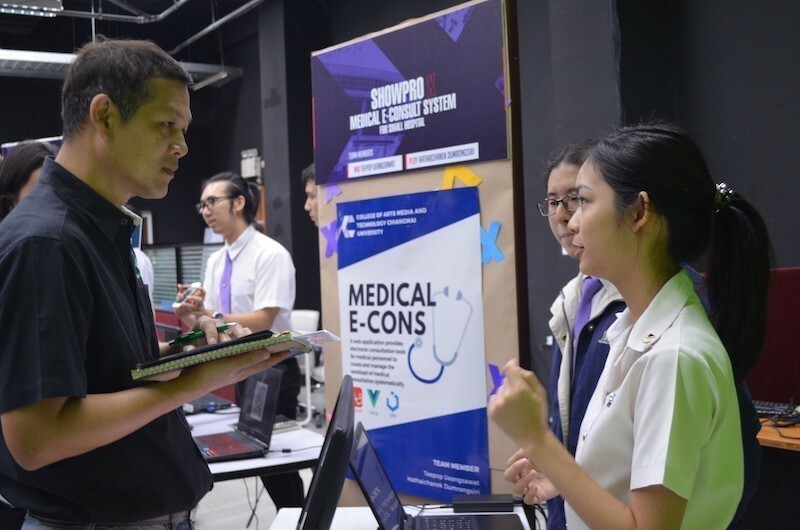 Representatives from about a dozen tech companies in the Chiang Mai area participated, with each donating several prizes and serving as judges. A total of eleven different teams competed in the competition this year. One of the projects that aiming to solve a common local problem was BuffQ, a queue management system for buffet restaurants—a very popular and often crowded style of eatery in Chiang Mai. IOT Smart Bin was another interesting entry. This project takes on the Internet of Things concept and applies it to waste management. A web application collects data from smart garbage bins that contain sensors to detect the amounts of solid waste and gasses emitted by decomposing organic material. In this way, someone can be sent out to empty the bins before they get out of control. ZocialSight was another project that caught the attention of Iglu staff. This web application tracks customer opinions of local brands by collecting data from Facebook, Twitter, and Pantip.com, Thailand’s largest internet forum where Thai netizens go to discuss everything under the sun. The prizes—mostly fun gadgets such as wireless headphones—were placed off to the side at the start of the day. After the tech company representatives had a chance to look at each team’s project, meet the students, and ask questions, they voted for their favorite projects. The winning team got first choice at selecting items from the prize table. Then the first runner-up got to pick their prizes and so on down to the last-place finishers. Nobody walked away empty-handed, with all participating students taking home some prize or another. More importantly than winning prizes, though, CAMT’s students got a chance to showcase their abilities to Iglu and other potential employers, with plentiful opportunities for both internships and full-time employment after graduation. 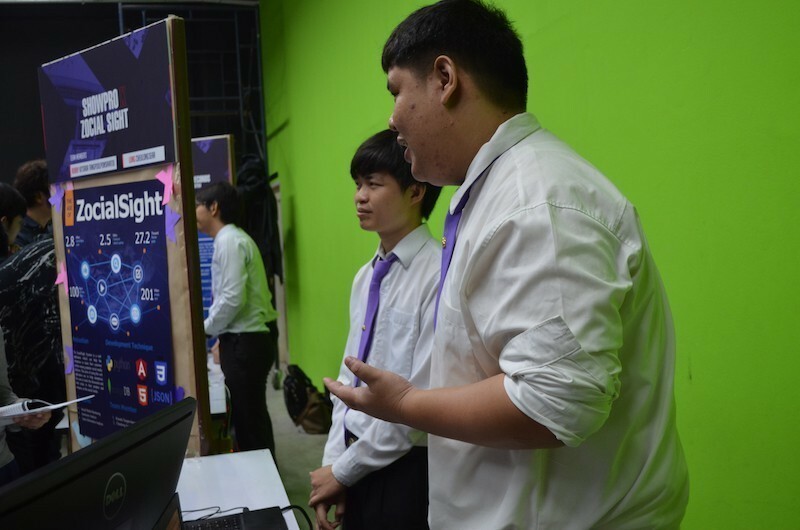 Iglu is an enthusiastic supporter of young, homegrown talent by taking on student interns from local Thai universities, hiring for various internal staff positions, and supporting Thai digital professionals through the Ngaai.com program. We look forward to participating in and sponsoring more events in the future to help keep the local IT community growing strong.